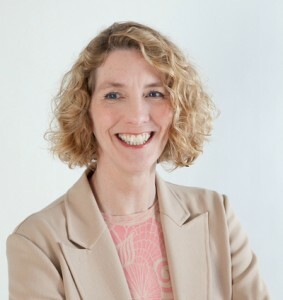 Sharon Wienbar joined Hackbright Academy, the leading engineering school for women, as CEO in November of 2015. With a bachelor’s and master’s degree in engineering from Harvard and an MBA from Stanford, Sharon had served mostly on tech boards of directors for over a decade — until she met with Hackbright co-founder David J. Phillips to discuss an article she was working on about women in engineering. Several hours of mind-melding later, Sharon realized she wanted to be a hands-on leader at Hackbright. Phillips traded up to chairman and gave her the CEO seat. Sharon fervently believes in changing the ratio of women in software engineering. Not by quotas, by demand, or by shaming, but by giving capable, motivated women the environment and training they need, and working with the best tech companies to hire them into the industry. 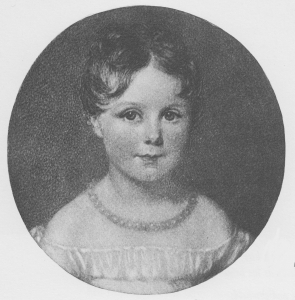 An engraving of Ada at age 4. 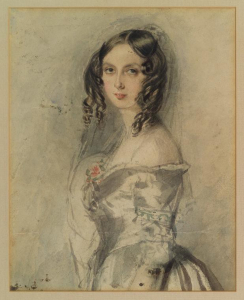 Augusta Ada King-Noel, Countess of Lovelace was an exceptional woman who, for her time, was also lucky. In her era, people learned from tutors and mentors. Only a tiny percentage of the population went through formal schooling. Only the highest upper-class people had access to extensive education. Ada was lucky in that she was born into a keenly intellectual family, one that cultivated her interest in many very different fields. The daughter of a poet, she was deeply interested in mathematics. She was encouraged to flourish in both. This combination of poetry and mathematics enabled Ada to have the insight that her dear friend Charles Babbage’s Difference Engine could perform calculations on things that were not just numbers. She postulated that it could operate on musical notes. Portrait of Ada at age 20. What’s different today is that most people, at least in the United States, have access to education as a fundamental human right. We’re also seeing much more of an infusion of computer science concepts into the curriculum at an early age. But I wish people would also understand the creative aspect of programming. Ada was fascinated with flight, and in the spirit of Leonardo da Vinci devoted serious time at age 12 to designing a pair of steam-powered wings, documenting and illustrating her findings in a guide called “Flyology.” Today, when we evaluate Hackbright Academy applicants, what signals “she’s one of us” is that she’s likewise a maker. That means having a vision for something you want to make, and following the creative process to realize that vision. Even if you can’t’ quite fly, you’ve created a pair of wings. 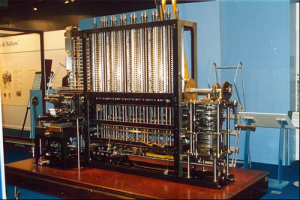 Ada’s algorithm was used for Charles Babbage’s Difference Engine, a design on paper which was finally built in 1991. I saw that there are creative people who are professionals, and there are professionals who begrudgingly have to be creative. This is it: The first machine algorithm on record. Ada’s 1842 description of a method for generating Bernoulli numbers with Babbage’s machine, which had yet to be built. Programming is unquestionably creative work.Programming is unquestionably creative work. Today, creativity is often cultivated in girls, but it isn’t always presented as something that can be expressed in code. Let’s understand that knitting, sewing, gardening, and programming are more alike than they imagine. But my daughter, a liberal-arts major, once explained to me why she was taking a computer science class: “It’s a life skill, like baking.” With software spreading into every aspect of our lives, knowing how code works is like knowing how your meal was made, and can be just as enjoyable to do yourself. Perhaps the gender gap in software engineers is because programming isn’t currently seen as collaborative work, the way it was 75 years ago at Bletchley Park. There, where everyone worked together to program giant vacuum tube-driven computers and decipher encrypted messages, over two-thirds of the programmers were women. The personal computer explosion of the 1980s recast programming as a solo effort, which attracted a predominantly male culture. But today distributed apps, Web apps, and agile development have made software development much more of a group activity again. A promising software engineer needn’t be a guy in sweats in a basement, whose only friend is his Xbox. We can take advantage of our new collaborative environments to foster coding creativity in women, just as Ada’s environment supported her to craft the world’s first known computational algorithm. In doing so, Ada Lovelace started us off with an important lesson: Code is for women, too. We don’t have to pinkify it. We shouldn’t. In this video interview, Sharon expands on why she joined Hackbright, and what she believes should be done to #changetheratio of women in software engineering. Interested in learning more about Hackbright Academy? Join us for an Information Session to learn about our 12-week software engineering fellowship for women tomorrow, October 12th. Attend in person or remotely via livestream.